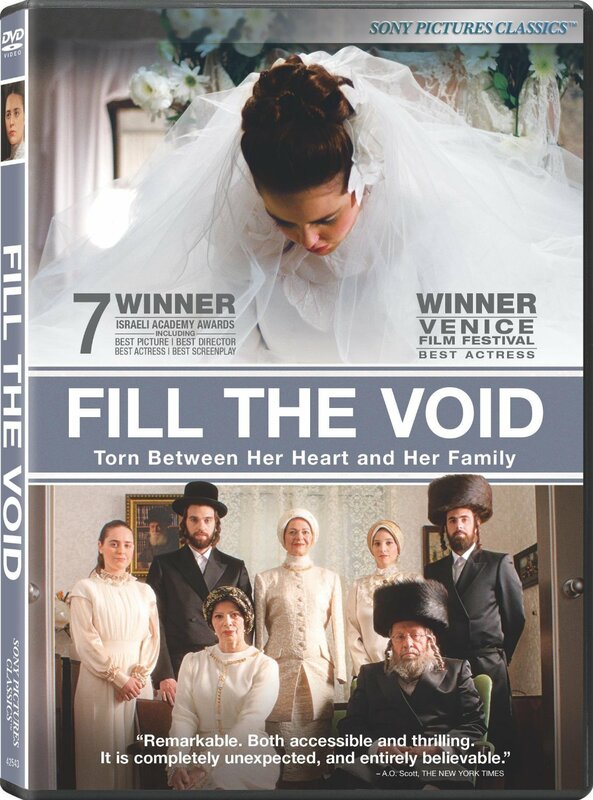 Fill The Void is a beautiful, heart stirring film that tells the story of 18 year old Shira* Mendelian, a Hasidic girl who lives in Tel Aviv. During the joyous celebration of Purim Shira’s family experiences the shattering tragedy of death. Esther, Shira’s older sister, dies in childbirth leaving behind a heart broken husband (Yochay), an anguished family, and Mordechai, a newborn son who needs a mother. One day Yochay’s mother approaches Shira’s mother (Rivka) with the possibility of Yochay remarrying, for the good of Mordechai. The proposed ‘bride to be’ lives in Belgium and Yochay plans to take Mordecai and move there. Rivka, distraught at the thought of loosing Morchechai, conceives a plan for Yochay and Shira to marry. In her director’s notes, Burshtein wrote, “I love Jane Austen. She’s romantic, intelligent, and full of humor. … The parallel is also quite obvious in that ‘Fill the Void’ takes place in a world where the rules are rigid and clear. The characters are not looking for some way to burst out of that world. Instead, they are trying to find a way to live within it.”** For fans of Jane Austin, you will see her influence in this moving film where one young girl is asked to fill the void. Fill The Void with it’s quietness and depth is not a film that you watch, but one that you experience. One caution – keep a box of Kleenex handy. For those of us not quite as fluid with Hebrew, no worries – the film has English subtitles. A beautiful description, Mike. It’s definitely worth seeing more than once.